After Fridays post and investigating I decided to make my own sweet tree especially since the lady we got in touch with only text us today at 6pm asking what we'd like. The problem though was finding a foam ball, you'd think these things were extinct but if you've ever followed any of my blogs you'll realise that I'm one of those people who can't find what I'm looking for at the time but when I no longer need it they are all over the place. I could easily have got a stick and a pot but the foam ball was quite something else. I went to the supermarket to investigate how much their Ferrero Rochers were and then my sister went to a few shops and said the supermarket was cheapest. 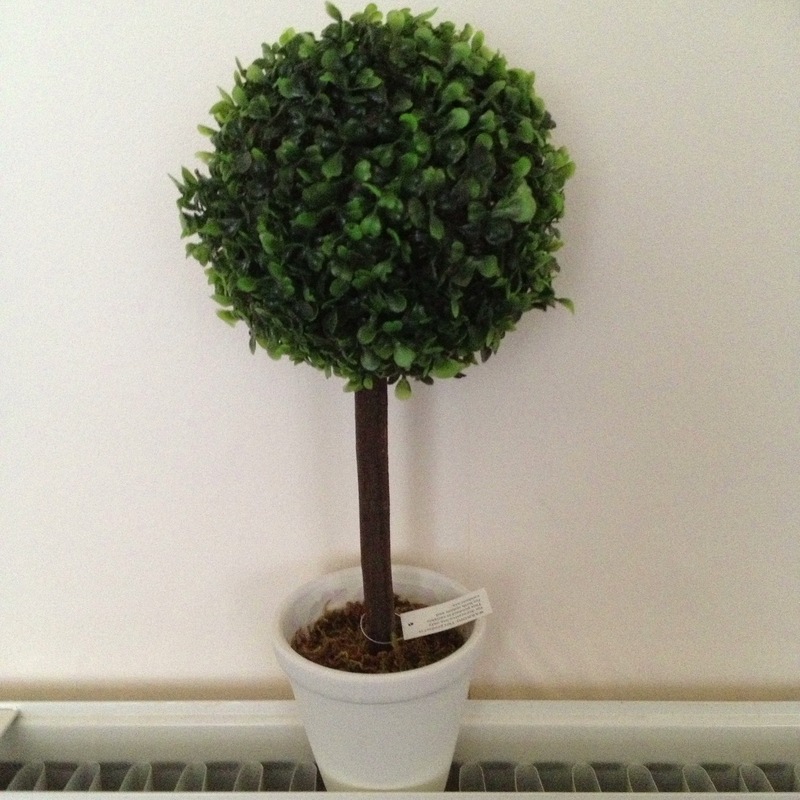 I also bought this artificial Topiary Tree but my sister looked around also for a foam ball, she even went to a few sports shops as we use them in P.E here but none had any so we stuck with this. 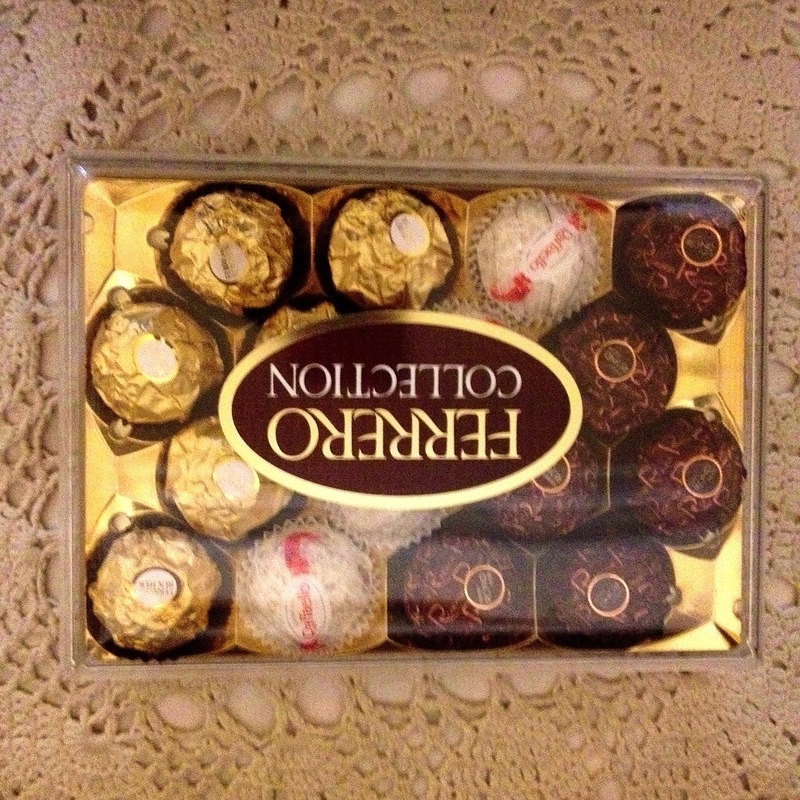 I ended up going back to the supermarket and I bought the Ferrero Rochers, a pack of sponges, a glue gun, glue sticks and I already had tooth picks at home. Sorry about the rubbish photos but it was pouring with rain outside so it was too dark to take decent photos even with the light on. I am so grateful to fripperee for the suggestion of a glue gun as my sister said the articles she read pierced a hole in to the chocolate and then put them in but the chocolates lasted 4 days! I had read something completely different so we were in conflict. She still wanted to pierce a hole so tried it with a chocolate from a tin of Roses and she couldn't get it in which changed her mind. The glue gun worked wonders. 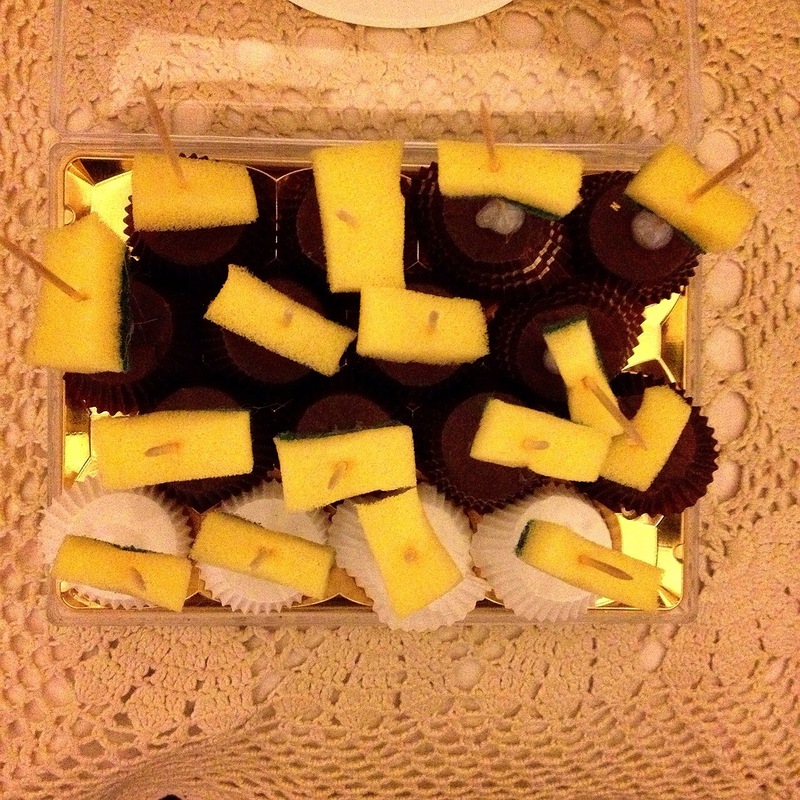 I first attached all the toothpicks to the wrappers. If I was taking this locally I wouldn't have put so much on but as we are taking it about an hour away by car I didn't want the crampness of the car to create problems. Even with putting it in the boot of the car might be a problem so I don't want to risk it. Next I pushed all the sponges on. The reason for this is that the Topiary tree is like a cage behind all the leaves so with using a piece larger then the squares meant it popped open once through the hole but didn't come out which worked. If I had a foam ball I wouldn't have needed to do this bit which would have saved a lot of time. I did glue the first sponge to the stick but then realised straight away thankfully that its best not to as they will need to be able to pull the tooth pick out in order to get the chocolate. 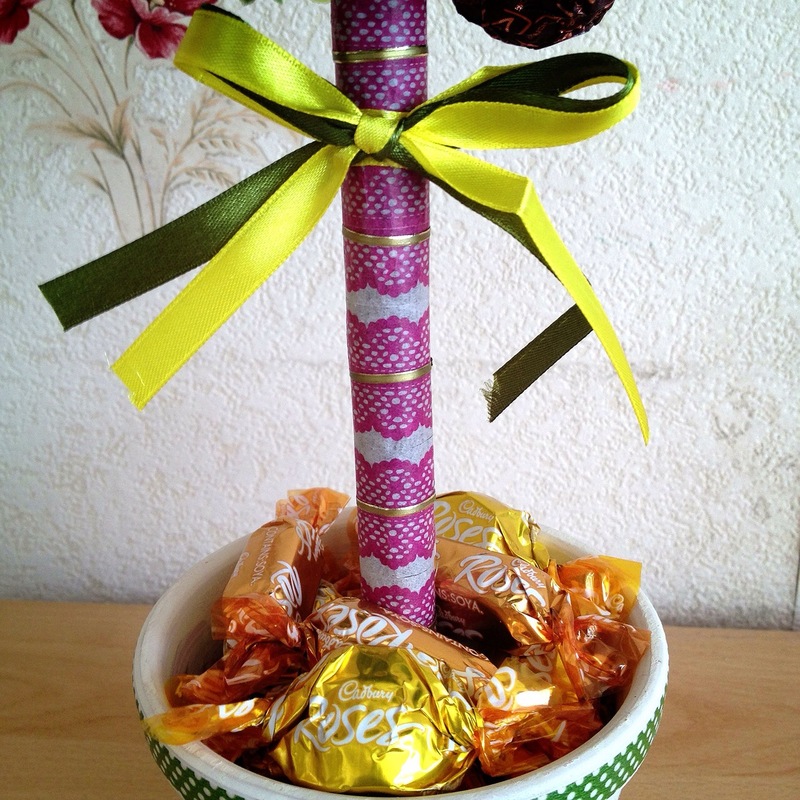 Before I put all the chocolates in I decorated the stem and pot using washi tape. If I had just the stick I would have used ribbon before attaching it to the ball but since that wasn't the case this was easier. I used peel offs too which I kind of regretted as they didn't stick too well and all fell off eventually so I had to glue them on. Once all that was done I stuck all the chocolates in and went off on my way! I came down this morning though to find that some of the chocolates had fallen out of the wrappers so I glued them back in. I hope that they didn't soak in to the paper and make the chocolate taste funny. Due to the caged style of the tree I couldn't get the chocolates closer but in reality I think it looks better like this, the photos don't look right but the actual thing makes them look like flowers on a tree. As you can see I used some of the Roses in the pot having picked out all the gold ones. I wanted to decorate the pot but due to its shape nothing looked right or stayed in place so I left it as it is with just the washi tape on. I've covered the bottom with cellophane which will stay like that in order for the sweets not to fall out. Also for now I've wrapped the top really tightly with cellophane in order for no more chocolates to fall out of their wrapper but on the day I'll take it off for effect. 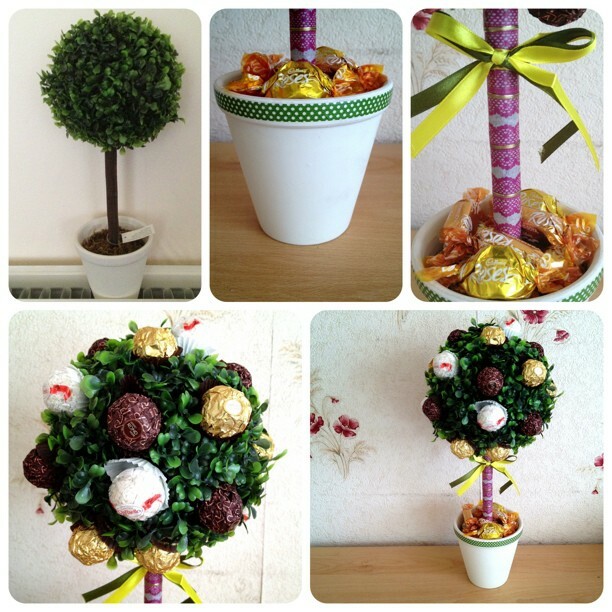 A cousin is getting married in May and I have told my sister I'd like to make another tree for his wedding but this time I think I won't use Ferrero Rochers and my sister works in Leeds and says she'll see if a store near her work place sells the foam balls in order to make his so lets so how that turns out then. I'll take a photo of course. The lady at the florists wanted £35!, the lady on facebook wanted £23 and over all it cost me £7 for the chocolates (I only used 25 of 32 chocolates), £6.99 for the tree, 19p for the sponges but used 2 of 4! and 2 glue sticks. The ribbon/washi tape/cellophane/toothpicks is what I had at home so you could say I spent £15 and with it being my first time making this 2 hours but I imagine it would take me much less once I get used to it. . I know I bought a glue gun but to me that is an investment. Are you going to attempt to make a tree now also? I have to show this to my mum, she would love doing that! 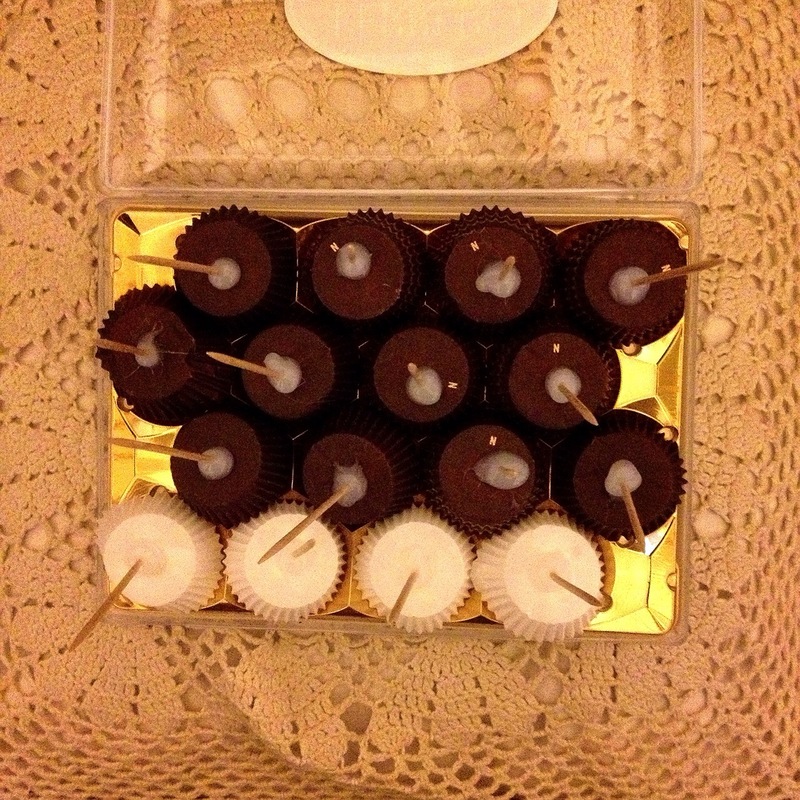 So left over chocolate and you get it done much cheaper, sounds like a win to me. Well you know here they sell tins of Roses for £5 and you get so many to work with, you'd soon fill a ball. I hope your mum gives it a try and its such an effective gift.